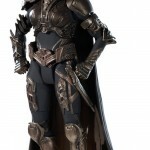 MTV Geek has been given the first look at the upcoming Man of Steel Movie Masters Faora Action Figure that will be seen at Toy Fair 2013. Movie Masters® figures are designed with the ultimate authentic detail and supreme quality to bring fans’ favorite characters to life. This assortment features heroes and villains from the movie ‘Man of Steel™.’ A high level of articulation lets fans of all ages pose the figures in countless ways for fan-tastic fun! Includes one figure and one display base. Each sold separately, subject to availability. That is a seriously cool looking figure. Gabranth! Your surgery went very well, I see. Joking aside, not bad, Mattel. They seem to be seriously stepping up their game when it comes to Movie Masters. 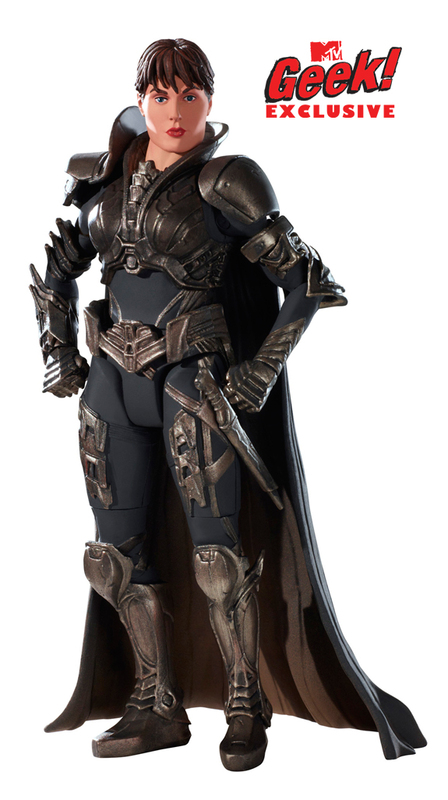 Looks like a great figure, though it makes me wish Zod has his more armored outfit too, rather than just the black undersuit. Who knows, maybe that'll actually happen. They could even give it his goatee to help differentiate it more. The actual actress's face isn't that broad. Sheesh. This toy's jaw is broader than mine, and I'm no slouch.